In Liberia, AFL government forces fought a vicious civil war against rebel forces led by Charles Taylor. His Patriotic Front, the NPFL, broke a truce of two years by staging an attack on Monrovia, Liberia's main port. What started as a civil war soon became something else, as the seven-nation West African peacekeeping force, Ecomog, joined the fray. The Armed Forces of Liberia, or AFL, forms the NPFL's main combatants within the city. They represent former President Samuel Doe, who was deposed by Charles Taylor two years previously. "We will fight to the last man", declares Charles Taylor. "I will get weapons from wherever I have to get it." Rather than bringing peace, the Ecomog soldiers have so far added to the casualties and strengthened the rebels' sense of righteousness. Although they deny working with the AFL, it is clear that they fight alongside one another on the ground, destroying any pretence of impartiality. Other West African countries sent in a peace-keeping force, Ecomog, partly funded by the US. 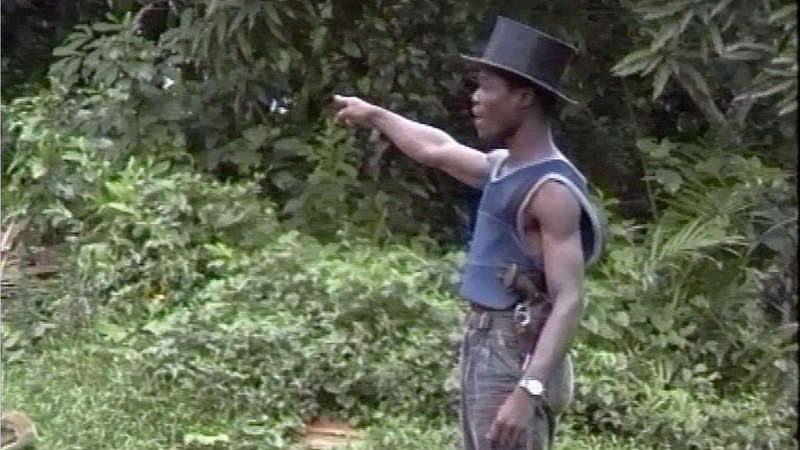 However, instead of monitoring a cease-fire Ecomog became a major combatant against Taylor's forces. In a conflict resembling a blood feud the fighters are often young orphans whose fathers have been shot by the opposing side. A film by Mark Stucke and Carlos Mavroleon.